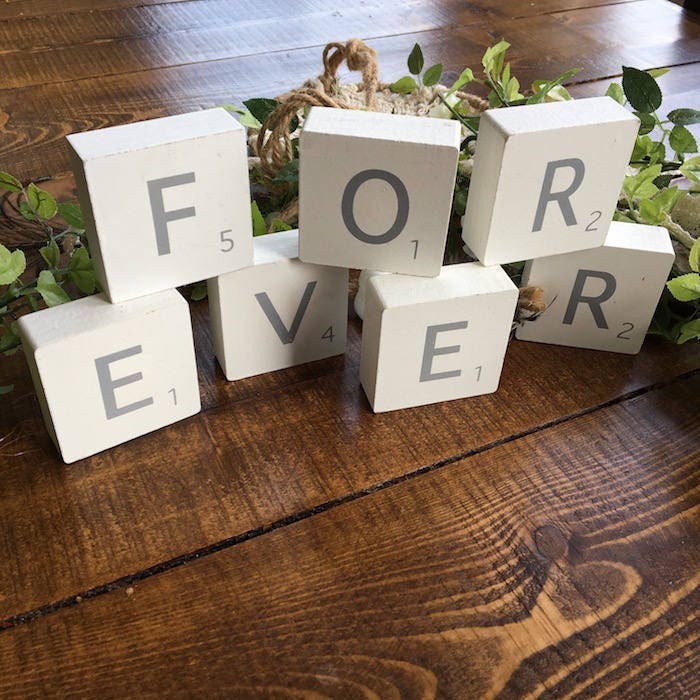 These cute little solid wooden blocks add the perfect addition to your home or wedding décor; spelling out FOREVER in silver complete with Scrabble style points. 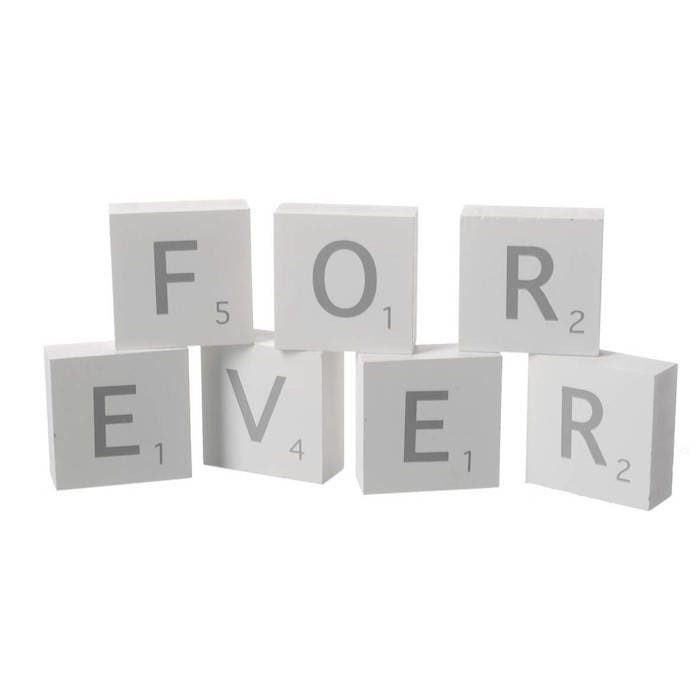 UK - All wooden letters or blocks are posted by First Class Standard Post. If you would like your package sent tracked and signed for, please get in touch and we will arrange for this to happen. 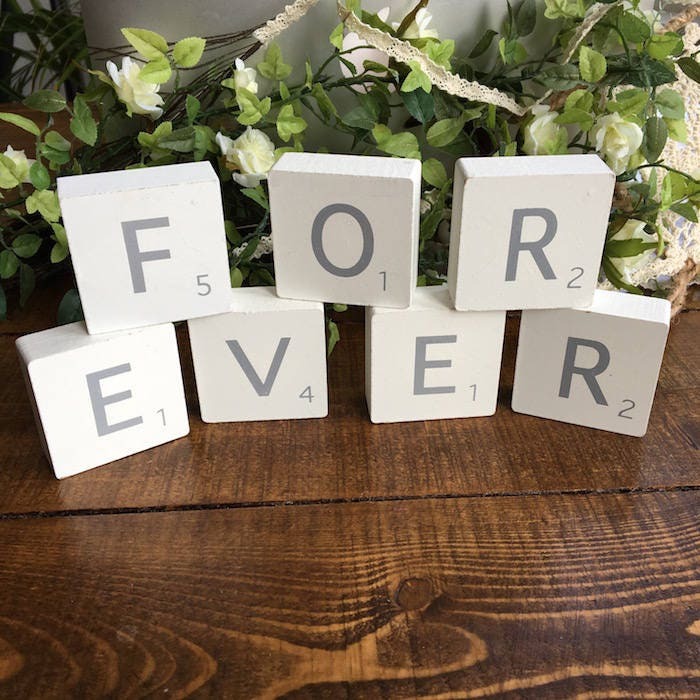 Everywhere Else - All wooden letters or blocks will be posted 'Standard Post', this means that there is no tracking information available but we will retain proof of postage. If you would prefer to have your package tracked and signed for, please select the upgrade when ordering! For bulk orders or for something a little different than what is described, get in touch and we'll see what we can do. 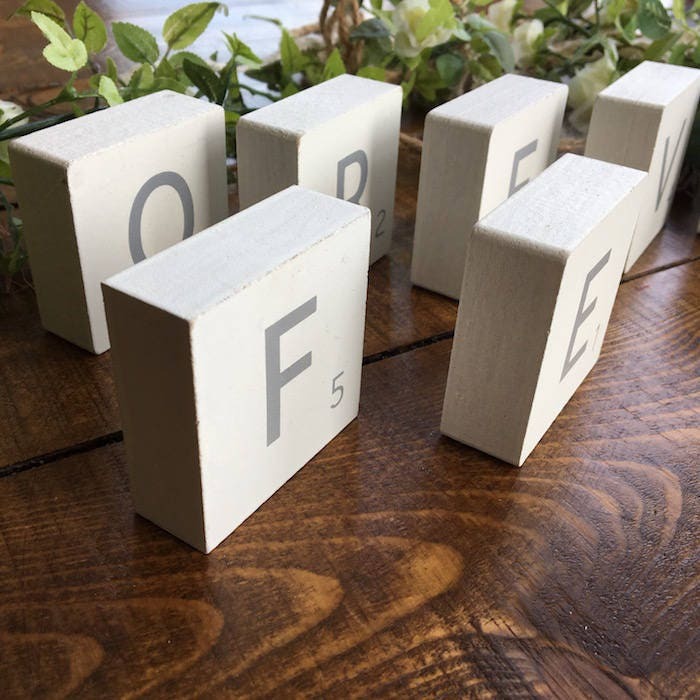 Thank you for considering Rup & Forn Creative and if you have any questions, we'd love to hear from you! Bought these after i had got the LOVE version. 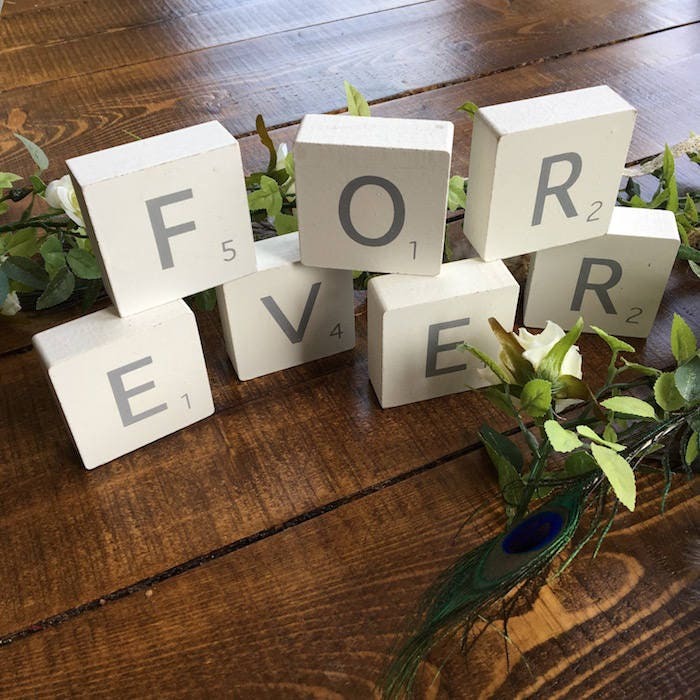 Cant wait to use these at our wedding! !